Lucifer has decided to take a vacation in LA, running a club, making connections and interfering in the lives of mortals. Everything is going pretty well if a bit too easily for him. That all changes when his little brother Amenadiel shows up to request he go back to hell to return the balance between the realms and a tragedy takes away someone Lucifer actually cares about. Now, Lucifer is on a mission to make those responsible pay and picks up a few new and intriguing humans who he quickly, much to his chagrin, becomes attached to. 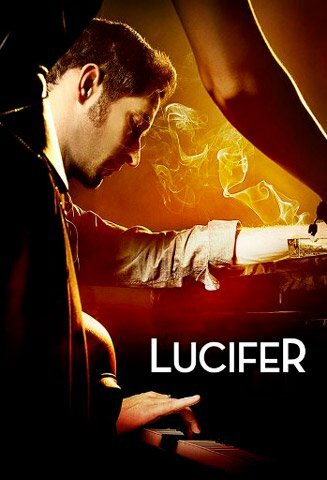 This show is damn good, very true to the comic books it’s based on, and Tom Ellis is charmingly obnoxious as Lucifer. Lauren German has a world weariness about her as Chloe that makes her utterly believable as someone who is unaffected by Lucifer, and D.B. Woodside has just the right amount of quiet danger as Amen to make you believe that Lucifer would be scared of his little brother. Kevin Alejandro doesn’t have much to do as Dan other than be slightly overbearing, however as he’s a genre staple, I’m hoping that this changes in the near future. Wasting his talent in the thankless role of main character’s ex-husband seems pointless. Rachael Harris gets slightly more to do as therapist Linda, who is both hilarious and refreshingly competent, while Lesley Ann-Brandt makes an impression as Maze who is bored being topside and would kindly like to start wrecking things any time now, thank you very much. The groundwork for an extremely fun season is done easily and smartly. The writers benefit from having the blueprint of the graphic novel to work off of and hew very closely to it. Even the look of the show, which is amazing, takes set pieces from the books and feels both lush and lived in. You can tell that Lucifer has settled into his life on earth and all the fun that being here can provide him. I give this premiere 4 spinning gold coins out of 5.